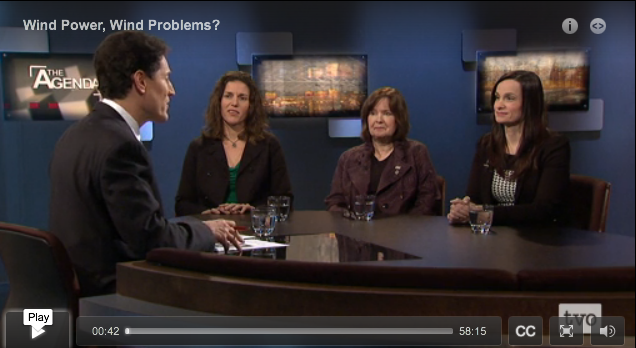 On its March 25th program, The Agenda panel on wind energy featured three expert women. The fourth guest, who joined the discussion from Alberta, was male. A year ago, when veteran journalist and host of TVO’s The Agenda blogged, “Where, oh where, are all the women?” he ignited a firestorm of protest. So TVO’s The Agenda was already ahead of the pack. But as a result of the controversy that greeted Paikin’s online comments about some of the reasons women decline interview requests, the good people at TVO’s flagship show made a concerted effort to do better. And they’ve succeeded. When I ran into Paikin at a recent Canadian Journalism Foundation event in Toronto, he told me that he and his colleagues were tracking the number of women guests and had topped 45%. Indeed, data provided by broadcast series producer Stacey Dunseath for the program’s last six months revealed a peak of 48% in January, and an average of more than 43% female guests since September. And this, Dunseath says, occurred without deliberately shifting the subject focus. it’s possible to deliver good programming that draws on qualified experts without excluding half the population. In fact, Dunseath spoke enthusiastically about a couple of recent female guests who’d never done TV interviews before, and were, like many of the women we’ve trained, initially reticent to to appear. But, she said, both of them “brought incredible context, gave thoughtful answers,” and “knocked it out of the park”. 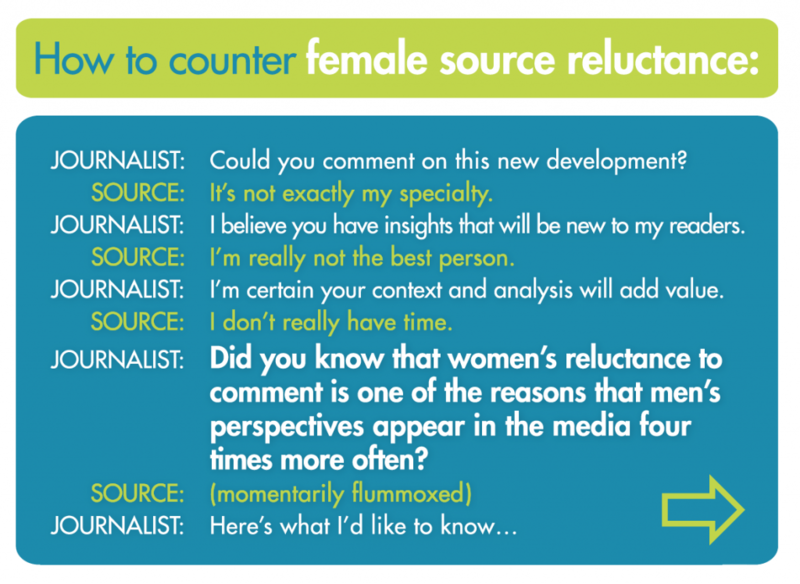 Telling everyone who pitches the show on a program topic that including women’s perspectives is a priority. She also said that she and her producer colleagues have employed a handy tool that Informed Opinions developed a few years ago. Dunseath says that drawing on our tips has proven to be very effective at encouraging women to reconsider their “thanks, but no thanks” response. And we all benefit from that. The more diverse the perspectives informing our public conversations, the richer and more fruitful they will be. A growing body of research in business and science makes this clear: the inclusion of women’s voices increases profits, ethical performance, scientific innovation and the quality of workplaces themselves. In an increasingly competitive global society, we can’t afford not to take advantage of such advantages in every arena. Stay tuned for news about ExpertWomen.ca/Femmes Expertes.ca, our plan to significantly upgrade our existing Experts Database in the coming weeks. I love how Ontario is represented on this particular channel, but I believe this is an important issue as well. I remember when this whole controversy came up last year. Great that we are still talking about this and making a difference. Nicely Done Steve et al! The ‘firestorm’ created much needed renewal! Looking forward to more significant results…. in the political arena and the First Nations communities, as well as Board Rooms.